The types of care and services that may be covered by a long-term care insurance policy range from highly skilled nursing care to unskilled custodial care. It might also include care in the home, adult day care services, assisted living, and respite care. To help clients understand the types of coverage available, it is important to understand the distinctions among the different levels of care. 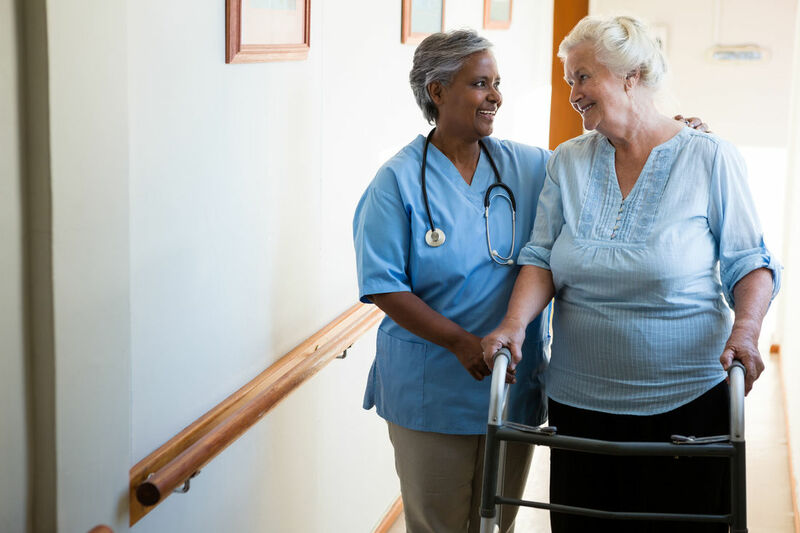 At the lowest end of the long-term care continuum is custodial care, also known as personal care, which is one of the most important types of care. This includes assistance with the essential activities of daily living, such as bathing, dressing, walking, toileting, and eating. Custodial care is considered the foundation of care even though it is the lowest level of care because it does not require a doctor’s orders and can be performed by individuals without professional medical skills. In fact, family members and friends often provide custodial care for elderly family members or friends. This level of care may be provided at home, in a nursing home, or in an assisted living facility. Long-term care also can be provided in a person’s home. Home health care encompasses a wide range of services provided by both skilled and unskilled personnel. For example, formal care may be provided in a person’s home by licensed health care professionals such as nurses, physical therapists, social workers, audiologists, occupational therapists, and nutritionists. Caregivers may also assist with personal tasks such as bathing, dressing, and grooming. Such assistance—both custodial care and care that is medically oriented—is available 24 hours a day, seven days week, as needed by the individual. ​Adult day care offers a structured, supervised alternative to nursing home care for elderly individuals who need assistance during part of the day but who do not need 24-hour skilled nursing care. Adult day care programs are community-based programs that provide a variety of social and health services, including therapeutic activities such as art; musical entertainment; health monitoring; physical, occupational, and speech therapy; and dietary counseling. Adult day care centers often give family caregivers a much-needed break, enabling them to continue working outside the home, attend to personal needs, or simply take some time off from their care-giving responsibilities. Intermediate care is medically supervised care that is provided intermittently (daily or a few times a week) for individuals who do not need around-the-clock care but still need medical care or assistance of some kind. Although less specialized than skilled nursing care, intermediate care is based on a doctor’s orders and performed by a registered nurse. This type of care can be provided at home, in an assisted living facility, or in a nursing home, and it is intended to improve or maintain a person’s health. Skilled nursing care is the highest level of care and is available 24 hours a day. It can only be performed by or under the supervision of skilled medical personnel, such as nurses, therapists, and technical personnel. This type of care is based on the orders of a doctor (called a treatment plan) who dictates the type of care to be provided. It is generally provided to patients who need a high level of nursing care, often after a person has received medical treatment for an acute condition. Sometimes, skilled nursing care may be needed for an extended period of time or for a short time only, until a person can transition to a lower level of care. Skilled care can also be provided at a person’s home. Descriptions of different levels of long-term care are general definitions only.